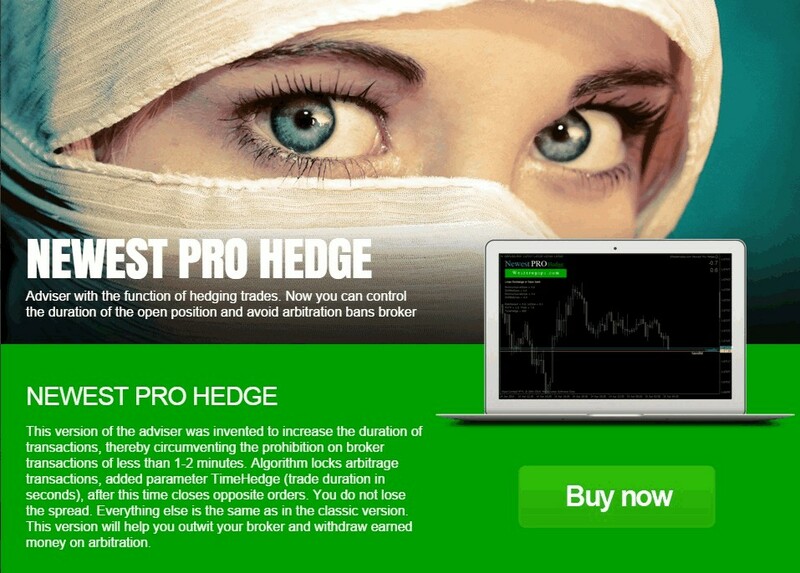 Classic version HFT trading robot Newest PRO will help you learn the principle of arbitrage trading. In this version, there is nothing superfluous , pure arbitrage trades. Duration of transactions over time is not regulated and is 1-2 minutes . With this version , you can check of any broker for the presence backlog ( hangs ) quotations. EA opens deal towards backlog quotes and then closes it or by Take Profit (Fix TP), or at the Stop Loss (Fix SL). Money management is regulated as a% of deposit or fixed lot . Expert advisor can use 4 mode signals : signals only from Saxo Bank, only signals from Lmax Exchange, filtering signals from both sources , the use of all incoming signals. Great version for those who do not like frills. This version of the adviser was invented to increase the duration of transactions, thereby circumventing the prohibition on broker transactions of less than 1-2 minutes. Algorithm locks arbitrage transactions, added parameter TimeHedge (trade duration in seconds), after this time closes opposite orders. You do not lose the spread. Everything else is the same as in the classic version. This version will help you outwit your broker and withdraw earned money on arbitration. This is another unique algorithm hidden arbitration. Now the broker does not suspect that you are making arbitrage transactions. Transactions are protracted indefinitely, and is not used locking. Transactions camouflage each other and is a revolutionary approach to arbitrage trading. Added the new variables adviser TimeHedge and HedgePoint, which allow you to control the length of transactions and the minimum number of points, after which the transaction will be closed. Specifically at the request of our customers, we have developed a unique algorithm adviser for trading on the news. As is known, the output of important news, a strong volatility and jumps in quotes. This is the most profitable place for arbitration. Therefore, we modified the classical advisor so that on the big jumps quotes could catch a profit of 30-50 points. Added partial closing of positions in several stages and rollover to breakeven. Introducing the new advisor for MT5 trading platform. 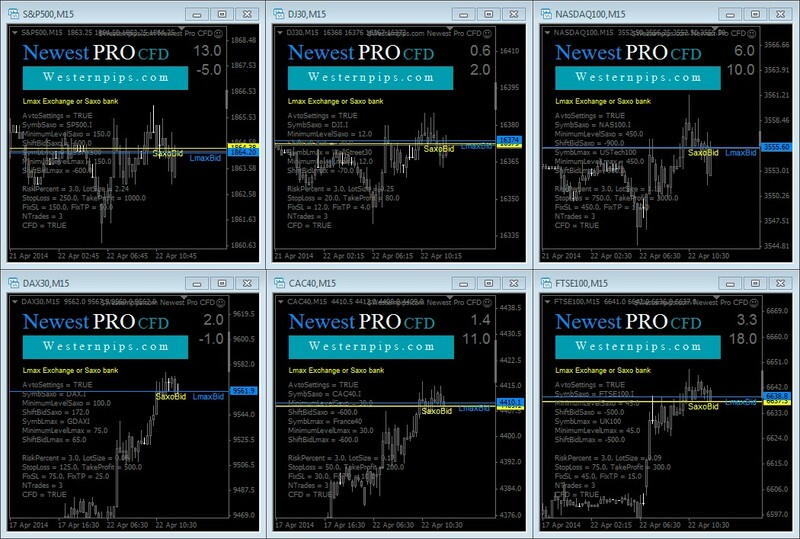 Try all of arbitrage opportunities in the new terminal MT5. 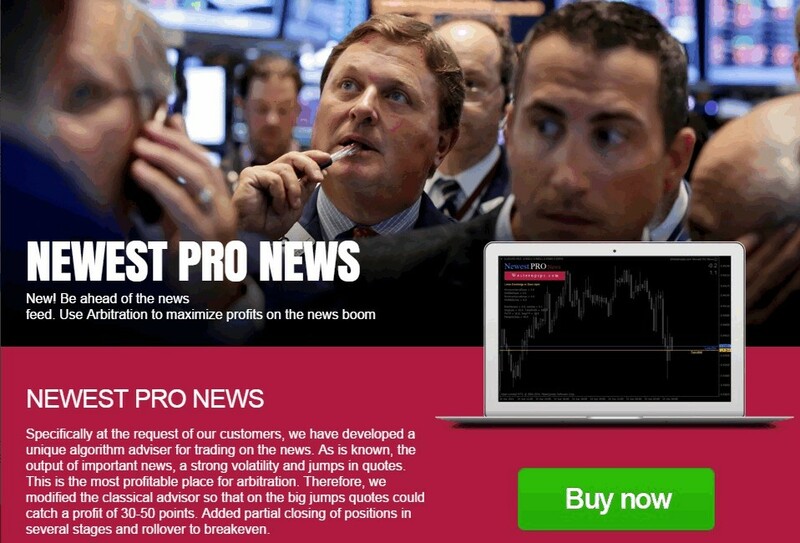 Test arbitration advisor Newest PRO in new MT5 trading platform . 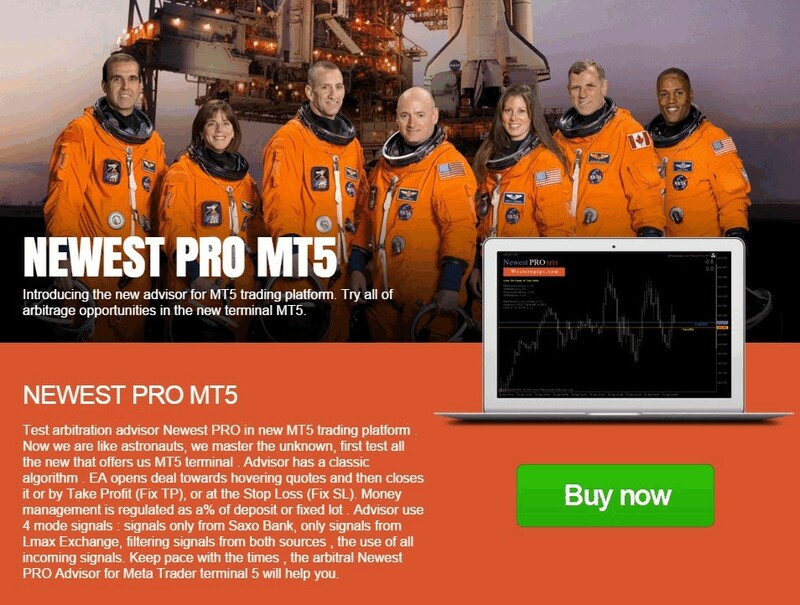 Now we are like astronauts, we master the unknown, first test all the new that offers us MT5 terminal . Advisor has a classic algorithm . EA opens deal towards hovering quotes and then closes it or by Take Profit (Fix TP), or at the Stop Loss (Fix SL). Money management is regulated as a% of deposit or fixed lot . 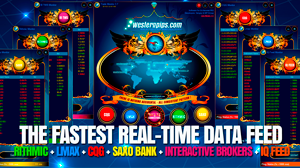 Advisor use 4 mode signals : signals only from Saxo Bank, only signals from Lmax Exchange, filtering signals from both sources , the use of all incoming signals. Keep pace with the times , the arbitral Newest PRO Advisor for Meta Trader terminal 5 will help you. cTrader - the new standards in Forex trading. Be the first. Test new advisor in the professional trading platform. 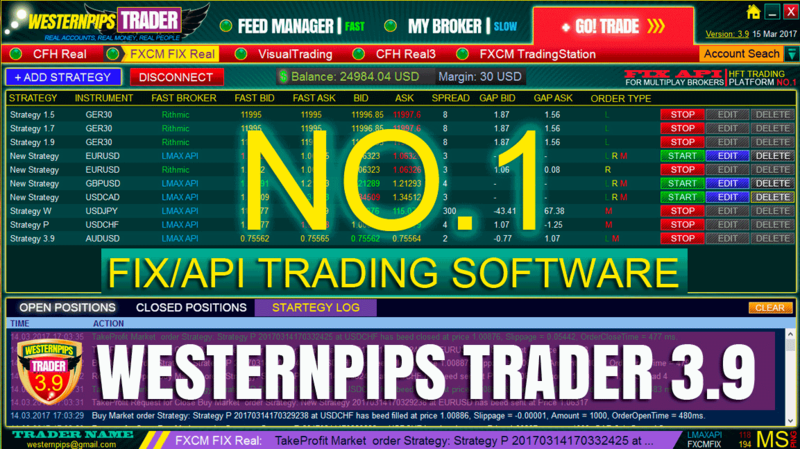 Completely new, unexplored trading terminal cTrader, he immediately attracted the attention of professional and high-frequency traders. Instant execution of transactions, no Requote, this is exactly what was missing arbitration adviser Newest PRO other trading platforms. Advisor for the terminal has not yet received cTrader mass of Fame, so this is a new opportunity to hit the jackpot. 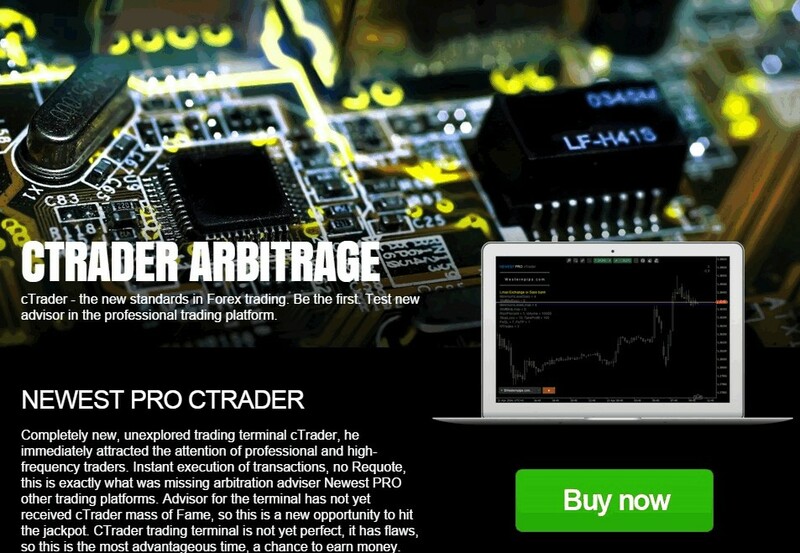 CTrader trading terminal is not yet perfect, it has flaws, so this is the most advantageous time, a chance to earn money. Trading CFDs with HFT trading robot Newest PRO is convenient and simple and a great way to diversify your trading portfolio. Stock CFDs (Contracts for Difference) have become increasingly popular over recent years. Stock index CFDs are financial instruments that represent the value of the underlying publicly-traded companies. One leading index is the S&P 500, which reflects the collective value of top companies trading on the NYSE. If the overall value of those companies' shares rises, the price of the S&P 500 will go up. There are also indices that represent smaller companies trading on the NYSE, as well as indices for various stock exchanges around the world, from Japan's NIKKEI to Germany's DAX. 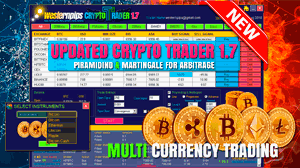 All variety of CFDs is now available for arbitrage trading. 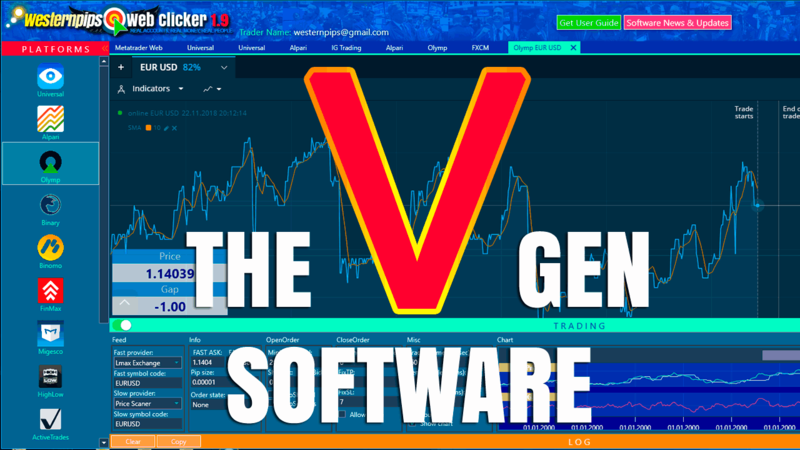 CFDs on Stock indises, CFDs on individual equities, CFDs on commodities and CFDs on metals - all of these instruments, you can try trading with the new version of the HFT trading robot Newest PRO. HFT trading robot Newest PRO has come a long way from the onset of the idea of arbitration until today. More than five years of hard work, constant updates and improvements. The new version Newest PRO we took into account all the nuances and shortcomings of previous versions. 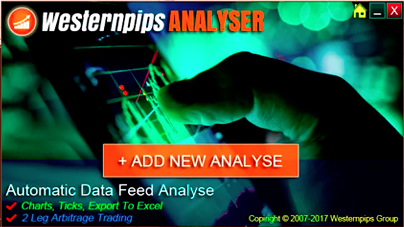 Now it is a professional trading system, a set of software products that allow you to cover the entire market Forex and CFD. We have expanded the list of trading platforms for arbitration. Now you have even more chances to find a good broker and hit the jackpot.